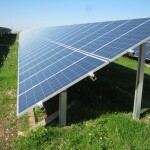 5th January 2011 – On 30th September 2011, the new ground based photovoltaic power plant in Cellino San Marco and Brindisi of approx. 43 MW and owned by AES Solar Energy, was connected to the Terna SpA electrical network. BFP arranged the preliminary and definitive design, followed the administrative procedure for the attainment of authorisation, provided services for operations direction, operations responsibility, coordination of safety during planning and execution phases, as well as technical supervision for civil and electrical works. BFP also provided consultancy services for the preliminary investigation into connection to the Terna network, for the compilation of operational regulations, for the declaration of a new electrical workshop at the Customs Office, for the successful conclusion of purchase contracts and transfer of electrical energy, for inquiries regarding the request for incentive tariffs and for the verification of the Performance Ratio guaranteed by the photovoltaic power plant. Construction works which have now been concluded, involved two EPC contractors and more than 40 subcontracted companies from various European countries (specifically Italy, France and Germany), as well as a large number of employees and local companies, ensuring an impressive economical result for the Brindisi territory. 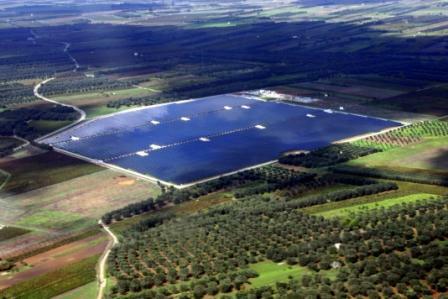 The power plant authorised by the Region of Puglia and in production since October 2010 belongs to a wholly controlled company of AES Solar Energy, a joint venture between The AES Corporation and Riverstone Holdings LLC, which obtained financing equal to the value of 173 million Euros for the plant’s construction. Today the plant is ranked twelfth in the world in terms of its nominal power ) and third in Italy.